Client Testimonials for Westmeath Photographer : McCormack Imaging Studio, Moate, Co. Westmeath, Ireland. A good friend said to me when we were planning our Wedding "Your wedding album will bring your memories to life for years to come". PJ and Brenda captured all the special moments and more on our wedding day. From our moment of chat and laughter during the ceremony to the emotions expressed during the speeches, the special but often forgotten moments during all the hustle and bustle of your big day. PJ had taken so many amazing pictures on the day and Brenda created a fantastic album. Both were so professional and friendly and made it all very relaxed. Brenda was there to help when my Bridesmaid disappeared! Their passion for perfection is very apparent from PJ climbing on a chair and lying on the floor to get the perfect shot!! So many of our Guests commented on the attention to detail and professionalism our photographer had showed. The package is fantastic and we were delighted when PJ gave us our mini album as we were going on honeymoon for 10 weeks. The picture frame our guests had signed has given us many laughs! We would like to sincerely thank PJ and Brenda for all their hard work and for giving us our wedding album, which brings all our memories to life. We would like to write a few words to express our gratitude to PJ and Brenda for the fantastic quality of their work and for the professionalism they have demonstrated from our first meeting to the wedding day itself and after. We felt that the photographer for our wedding was a very important decision and met with a lot of photographers before choosing McCormack Imaging Studio. We are very happy with our choice. We felt that PJ and Brenda were extremely personable and their enthusiasm for what they do was very evident. We are delighted with our engagement shoot, the framed photo they provided for the guests to sign and we recently received a DVD of our wedding photos set to music and we love it as does everyone we show it to. We are just in the process of choosing our photos for the album and can't wait to see the finished product. I would also like to give Brenda and PJ an extra special thank you for proving their professionalism when things didn't go as planned for me on the wedding day. Due to a very poor experience with the hairdresser (over two hours behind time), my bridal party and I were extremely behind time. PJ and Brenda really helped to keep stress levels at a minimum. They also insisted that I take a few minutes to get some photos before we left for the church and I am extremely grateful to have these photos. From the photos you would never guess how chaotic the morning had been! Sometimes it's not until things go wrong that you realise how important it is to have professionals there to take control of the situation and I am extremely grateful that PJ and Brenda have given myself and my parents some very special photos. We would sincerely like to thank PJ and Brenda very much for everything they have done for us for our very special day. From our first meeting we were very impressed with all the ideas that they had to share and it was inspiring to know that our wedding was in excellent hands. On the actual day itself it was such a treat to be made feel so important and special and PJ and Brenda were just brilliant every step of the way with every aspect of the day and were highly professional. The packages that are on offer are just fab and we were just so delighted with what we picked. We love the frame that everyone signed on the day was a real treat to read over and all the kind wishes were just great. The mini album and dvd slideshow were a real added bonus to have and of course our main album is just so beautiful and we will always remember every aspect of our day looking at it. Thank you so much again PJ and Brenda for making our day extra special and one to always remember. PJ was the photographer on our wedding day, because we wanted every special moment captured on the day, we were eager to choose someone who could do just that. There is no doubt in our minds that we got that person in PJ. On the day, and indeed on the lead up to the wedding he was so helpful and friendly. He proved to be a very easy person to talk to, which helped us get our ideas across to him. He was mannerly and unobtrusive, two qualities that a lot of our guests commented on during the wedding day. The level of professionalism that PJ showed was second to none. We really could not be happier with the outcome. Our wedding album is perfect. We certainly would have no hesitation whatsoever in recommending PJ McCormack to anyone for any occasion that they may want captured forever. Absolutely Fantastic - PJ and Brenda were first-class in so many ways from start to finish in brilliantly capturing the special moments of our wedding day. Their professionalism and obvious expertise in photography and organisation of people throughout the whole process was so reassuringly apparent. That allowed us the peace of mind to enjoy our special day, assured that our memories were being recorded even more beautifully than we could have imagined. PJ and Brenda's naturally affable and gracious personalities, combined with a talent for producing amazing photographs in such a tasteful, personable and unobtrusive manner, ensured that our wedding day experience is one that we can re-live time and again through our album, as vividly as the day that our memories were created. Brenda & PJ we want to sincerely thank you for a magnificent album. From the moment we first met you, you had suggestions we wouldn't have thought of, you even visited the venue before the day and were so calm and that became infectious. PJ you simply take amazing pictures, we even used some on our Thank you cards! Brenda we want to thank you for your attention to detail and for making our album so personal and important to us both. Having you photograph our wedding was one of the best decisions we made. Our Wedding Book is spectacular and we will treasure it for years to come. 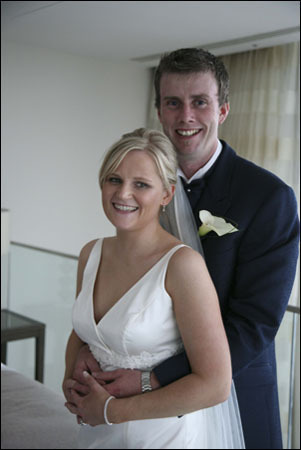 Michelle & Philip Peake, Belturbet Church, Cavan and the Slieve Russell Hotel, Cavan. PJ & Brenda - Mark and I would like to THANK YOU both for doing such a wonderful job on our wedding photographs. The DVD, Signature Picture, the Mini Album, the Thank You Cards and of course the Wedding Album itself was fantastic, it was excellent quality and great value, it was the best we have ever seen and anyone that saw it thought the same. We found PJ & Brenda absolutely brilliant on the day, so friendly and professional and they captured every special moment. Our 6yr old son Dylan was Pageboy and PJ took excellent shots of him, it made our wedding album so special. 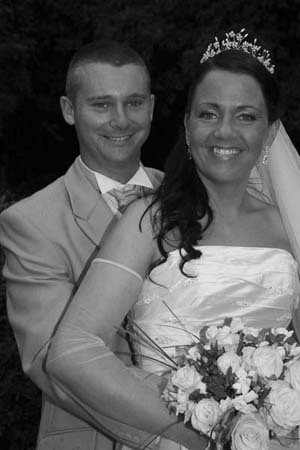 PJ & Brenda had a brilliant way with our families and guests and that shown through in all of the photographs. I have two sisters getting married next year and they both have booked McCormack Imaging Studio for their big day. I couldn't recommend them highly enough. 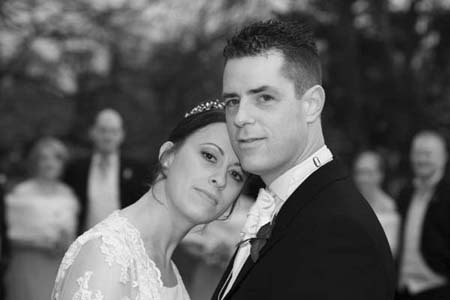 Nicola & Mark, Mount Temple Church, Grand Hotel Moate. We would like to thank you for your excellent service that you provided on the day of our wedding. Myself and Tracie were extremely happy with your professionalism and how you made the day extremely pleasant for us both. The photographer plays a very important role and adds to the happieness of the day for our bridal party, our families and for us both. PJ, we were extremely happy with your work and the quaility of our photographs and of our wedding album. We would have no hesitation whatsoever in recommending you to any of our friends for any photography work that they need done in the future. While at a relation's wedding we couldn’t help but notice the photographer zooming around doing his thing. We were soon to be married ourselves and we were well prepared, with everything (including our photographer) booked and finalized. But this photographer blew us away with his attention to detail and his manner when dealing with the wedding couple, priest and the guests alike. So we decided we had to have a chat with him if we could, and got that chance over the course of the day. We spoke to PJ briefly and immediately arranged an appointment to meet and discuss the possibility of him covering our own wedding. Strange I know considering we had already booked a photographer we were happy with, but also the best decision we made over the course of organizing our own big day. We met with PJ and his wife Brenda at their home and went trough some of PJ’s work and we got a lot more than we bargained for. PJ's work is outstanding and PJ and Brenda spent hours with us putting forward ideas and suggestions for our big day and PJ absolutely baffled us with the amount of passion he blatantly oozed for his work. Then of course we asked the big question, how much was all this going to cost us. The pricing was so good that we had to confirm it again there and then. It was like Christmas had come in comparison to all the other photographers we had dealt with to date. We left that place with an extremely big smile on our faces and I cancelled the previously booked photographer, and had no problem with the fact that we had lost our deposit as it was well worth it. PJ even went to the hassle of physically going to the venue (previous to the actual day) where we would have our photos taken, to suss out the grounds - hunting for spots with good light at that time of the day, etc. We would like to thank PJ and Brenda for making our day so free flowing and stress free, they are two beautiful people doing and excellent job. The quality of their work has to be seen to be believed and their after sales service is so professional and welcoming that you feel like you have known them all of your lives. We just could not put into words the thanks they deserve for the quality of work they produced and the opportunity we had of meeting two genuinely beautiful people. Aidan and I just wanted to say thank you for very everything you did for us, not just on our wedding day but also the lead up to and the service afterwards. 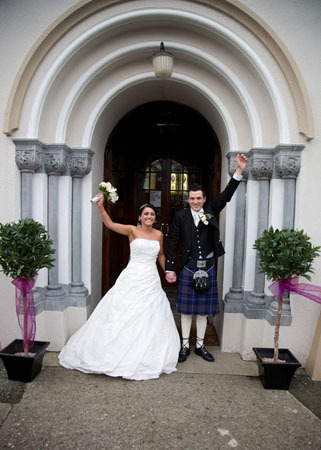 We are so delighted that we chose ye to photograph our special day. They are pictures we will have for a lifetime to remember the best day of our lives. You really helped make our day go so smoothly. Our bridal party were also relieved that having the photos taken was not painful or a fuss. The quality of the photographs was fantastic. It was brilliant getting the parent album so quickly while our big album was being made. Aidan and myself found you both so easy to work with and you really did take onboard all of our ideas, which was evident when we saw our photographs. Our Seldex album is simply amazing we keep showing everyone. We have so much to show for the day, the package you offer really is fantastic, the parent album, DVD slide show, portrait and large album. Thank you again, we will sure to be clients again for portraits and family photographs in the future. 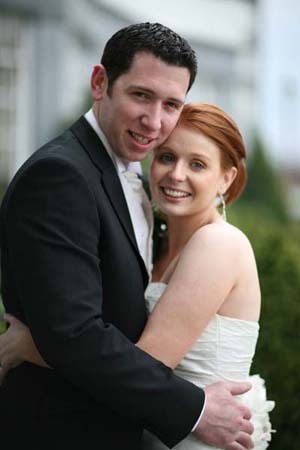 PJ and Brenda - Thank you both so much for providing the photography for our wedding on the 14th March in Blackrock. 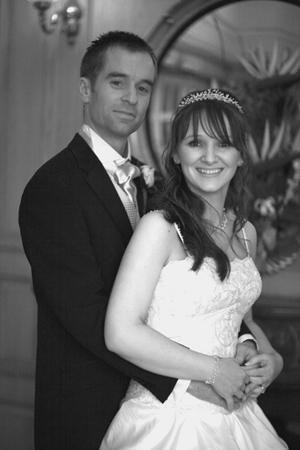 You both were very helpful and professional on the day, which made our special day even more special. We especially liked the natural attention to detail of the photos being taken and I think this shown through when we saw our photographs. We thought the DVD Slideshow was of excellent quality and it really captured the day perfectly. I would also like to thank you both on behalf of our family and friends who complimented how patient and obliging you both were. We both have been at many weddings in the past and we do believe that the service you both provided on the day was by far the best we have ever seen. Joseph and Eleanor Flanagan, John the Baptist Church, Blackrock and the Stillorgan Park Hotel. We found PJ & Brenda McCormack absolutely brilliant. From the moment we booked them we knew we picked the right people for our wedding. We felt at ease with them both from the beginning. 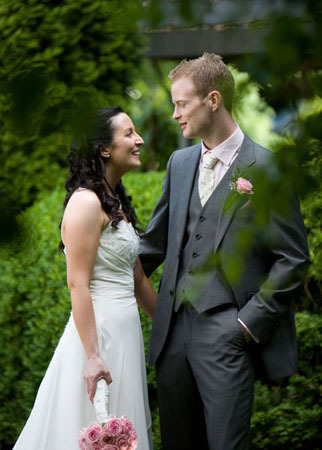 We were in touch many times before the wedding with queries and they were always very helpful. PJ came out to our house, the church and to the hotel well before the wedding to check them out. On the day they did everything and more and took all the photos we wanted. They got on with all our guests and we had great craic with them. We had chosen the storybook album and Brenda was in touch after the wedding about all of the different options we could go for and when we finally decided what we wanted we were absolutely delighted with the finished product. We also got a mini album and slideshow dvd which came with the package and they were excellent and we got these within a few weeks. We also got small albums for both sets of parents and these were also excellent. All our family and friends have said it is the best wedding album they have ever seen. 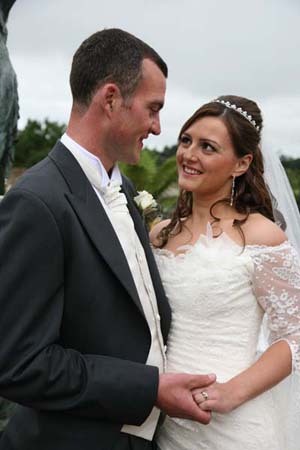 Jennifer and Nigel, St Anne's Church, Bohernabreena and the Ardenode Hotel, Ballymore Eustace, Co Kildare.